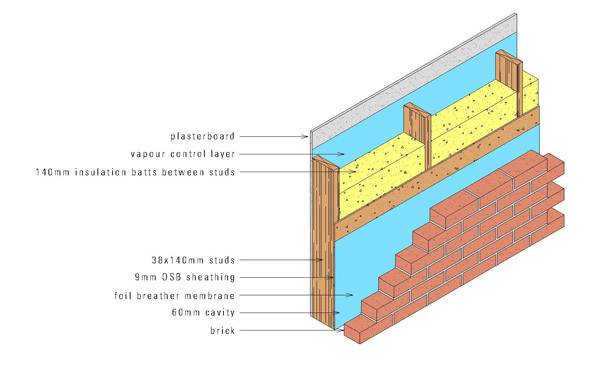 There are various different ways to make a timber frame wall, as you probably already know. Some companies have their own preferred ways to doing it, as do we (you might have heard of SIPs (Structural Insulated Panels) – these are covered in another section). However, ultimately your preferences for thermal performance will determine how we design the wall for your project, not the other way around. 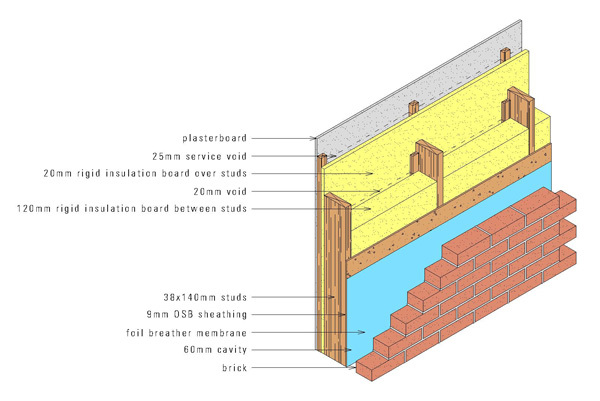 The images show some of our more common wall types, but these are by no means the limit to our capability – just common examples.